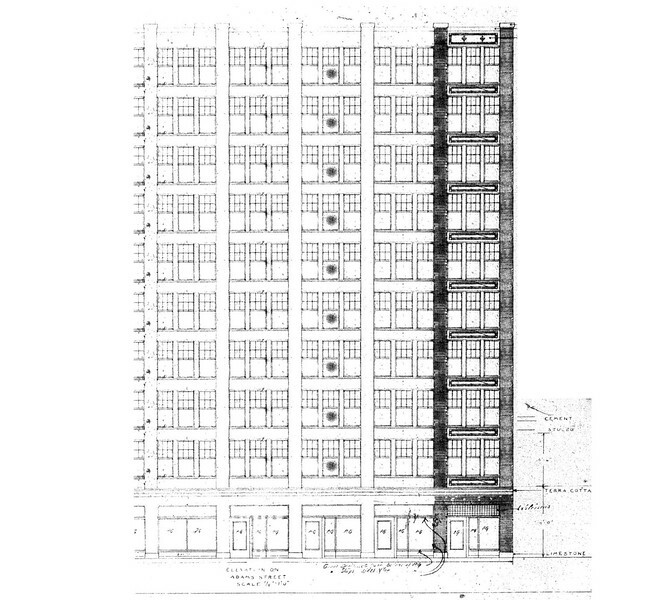 The Akers-Cody Building in Downtown Jacksonville was originally designed to be as tall as 10-stories when it was designed in 1921. Now a new proposal has materialized that could result in the vertical dream coming true 97 years later. This photoshopped image is included as a “what if” the 1920s Florida Land Boom survived. In the midst of an early 20th century Jacksonville growth spurt, Atlanta-based Akers & Cody hired architect E.R. 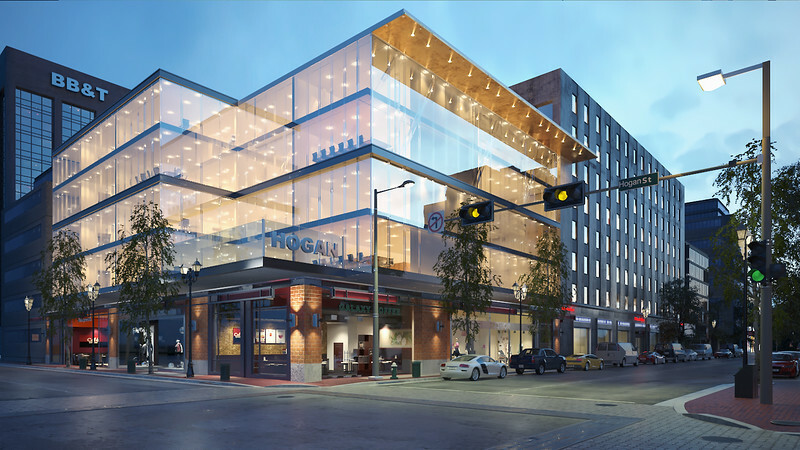 Merry to design a 10-story fireproof hotel at the southwest corner of Adams and Hogans Streets. Estimated to cost $250,000 to construct, by May 1921 a decision was made to only erect the first two-floors with the structural strength to support an additional eight floors at a later date. 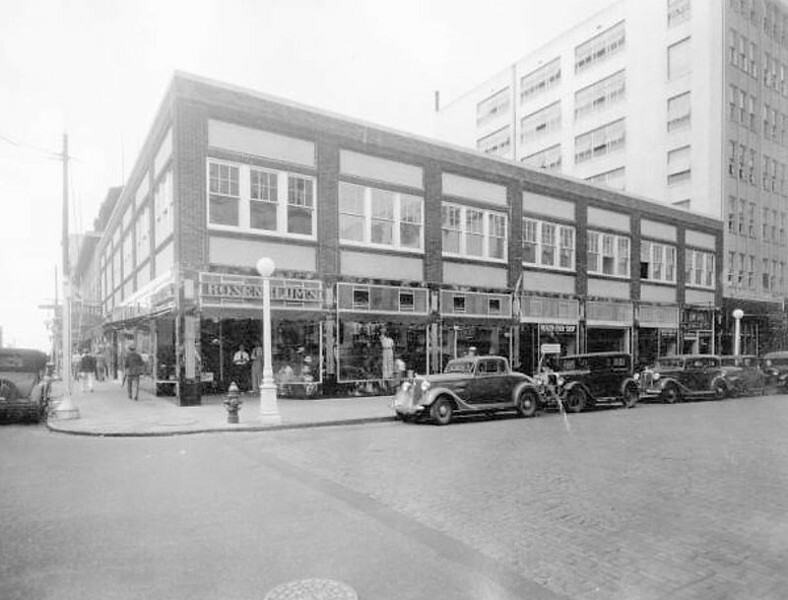 Florida’s real estate market went bust before additional work began and in 1934, the Akers-Cody Building become the flagship location of Rosenblum’s. Established by Frank “Papa” Rosenblum in 1896, the luxury apparel downtown retailer occupied the space for 47 years before relocating to Lakewood in 1981. "To keep the business in the family, we have decided to close the downtown store and concentrate our efforts on our fine Lakewood store on the Southside," Sheldon Rosenblum expressed. "There we will offer the same quality lines of men's and ladies' apparel in as broad a selection as before." 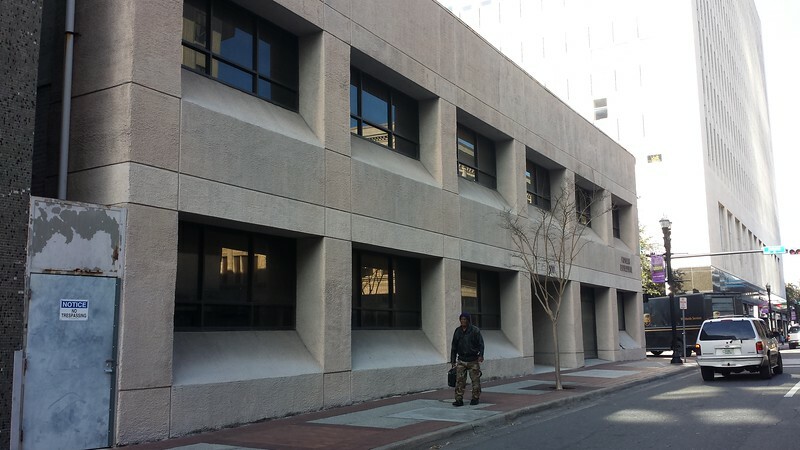 According to Sheldon's older brother, Herman Rosenblum, abandoning downtown Jacksonville was a painful decision: "It is difficult to pull up our roots and move from this area. But when a substantial offer came to buy our leasehold for this building it became a good time to make a decision we were going to have to make someday soon. We can't work forever and we can't stay in business here without watering down the quality of our service." In 2004, the two-story Akers-Cody Building was left empty for good when Wachovia vacated the space in a move to relocate 2,000 bank employees from downtown. Now, 97 years after its completion a new plan has emerged that will take advantage of a structural investment that was never realized. Developer Jason Heleva in currently in the process of acquiring the 36,000-square-foot building at 170 Hogan Street. Heleva plans to take advantage of the concrete and steel reinforced structure by constructing additional floors of office space on top of the building. Furthermore, the first floor would become commercial space for shops and restaurants. Heleva and Kelly Rotondo of Bold City Real Estate Group anticipate closing on the deal to purchase the Akers-Cody Building within the next few weeks.